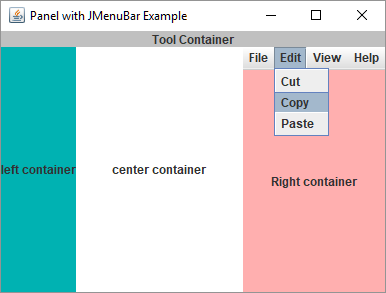 This example shows how to add JMenuBar to a child container panel. We just need to add JRootPane instead of our child container (usually a JPanel). JRootPane supports JMenuBar, GlassPane, LayeredPane etc. We will add our child panel to content pane of the JRootPane.